On March 29, Mesh Omnimedia is hosting the Loudoun Chamber’s Small Business Committee at Notaviva Vineyards from 3:30-5pm to discuss the importance of your organization’s brand and how to evaluate your brand. This workshop will guide you through basic techniques on measuring the effectiveness of your brand. 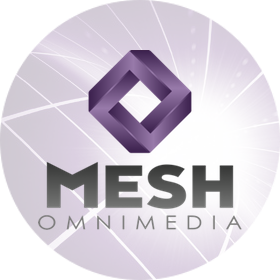 The Mesh Omnimedia team recently led the higly-regarded rebranding efforts for the Loudoun Chamber, which was a critical initiative to help the Chamber celebrate its 50th anniversary. Stephen will share all of the draft logos that were developed for the Chamber, as well as reveal the findings of the logo analysis survey that was conducted across key stakeholder groups to determine the final selection. The workshop will be lead by Stephen Mackey, Creative Director with Mesh Omnimedia. Stephen is a Telly-award winning producer and director who brings to Mesh Omnimedia a wide range of experience in all facets of digital media production, including brand development, film production, visual design, software development, digital media product management, as well as technology and operations executive management.